If you’re reading this then you’ve probably seen all those advertisements splashed all over the place that boast people with big smiles strapped into harnesses and helmets ready to zip across wires over lush forests. A playground in the trees connected by platforms, balancing beams, barrels, cargo nets, ladders, lily pads, bridges, Tarzan swings, tightropes, zip lines, and other obstacles, Acrobranch’s Canopy Tours take you on the most exciting adrenalin thumping eco-journey of a lifetime. Gliding across the treetops at top speeds – all you have to do is hold on tight and enjoy the rush. A global phenomenon that’s led by professionally trained guides, at Acrobranch, we ensure that safety is first and foremost. Using harnesses, helmets, lanyards, tethering systems, carabiners, hardware, zip line trolleys, gloves and brake pads that are of world-class quality, our Canopy Tours are a fun, easy, and super safe zip line adventure that is ideal for anyone between the ages of 7 – 70 years. A life-changing obstacle course that allows you to submerge yourself in the beauty of nature, our Canopy Tours are ideal for nature lovers, thrill seekers, team building groups, birthday parties, year-end functions, corporate events, bachelor & bachelorette parties, and family fun days out. Timberlake Organic Village along the Garden Route. 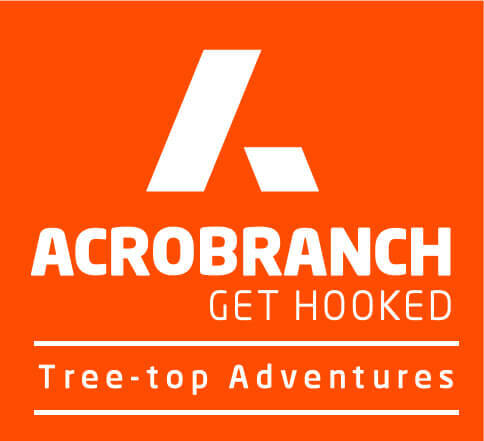 There is nothing like making lifelong memories with family and friends, so go ahead and make this summer a memorable one at an Acrobranch Adventure Park near you.